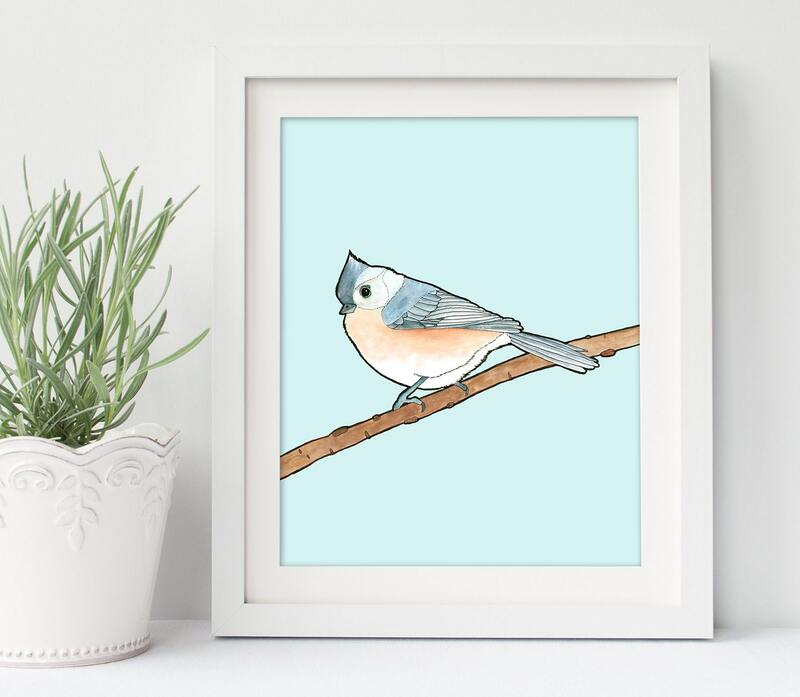 This is a print made from my original bird watercolor series. 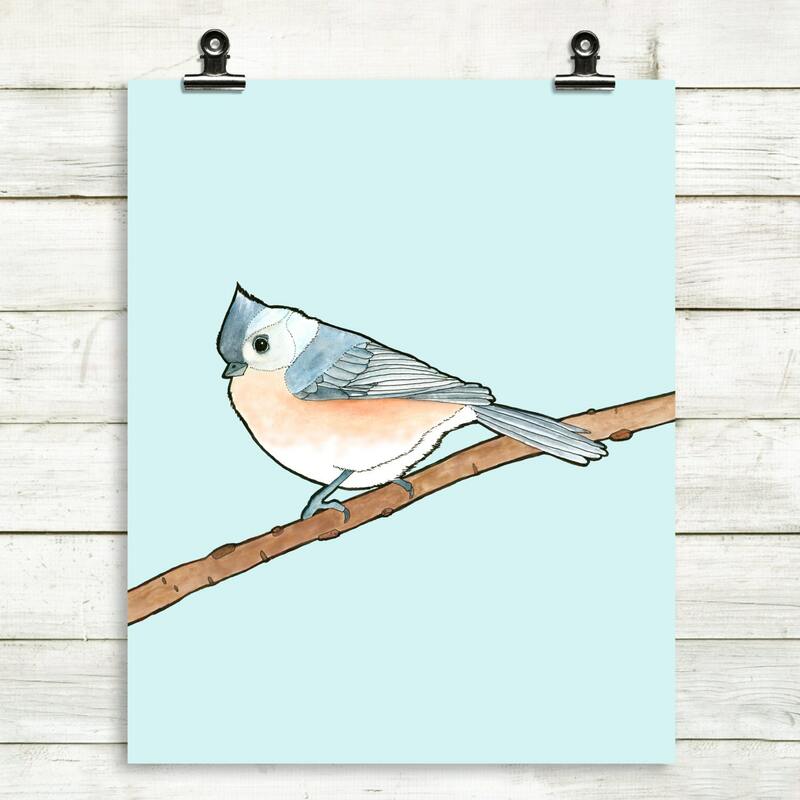 This one features the adorable Tufted Titmouse with a soft, modern blue background. 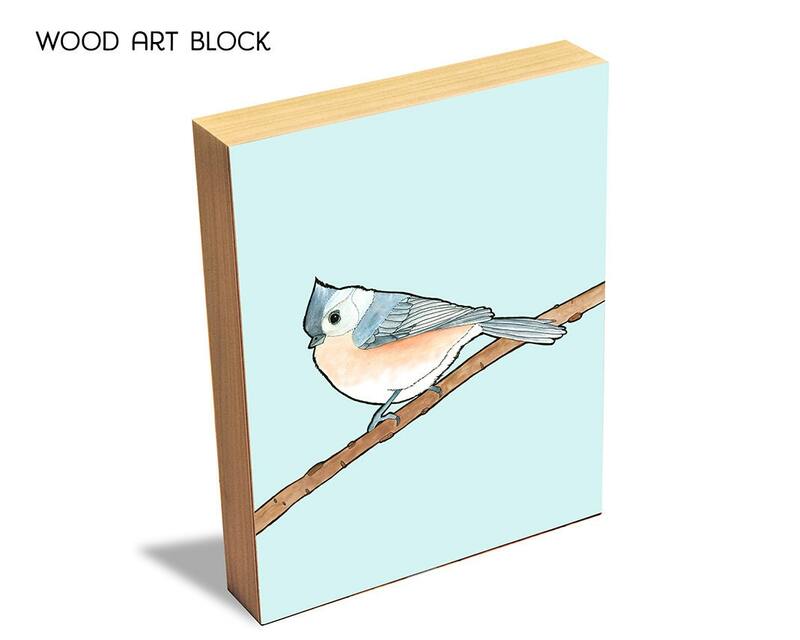 Available as a greeting card, wood art block, and print on canvas too! ➤ all orders are shipped with tracking information. 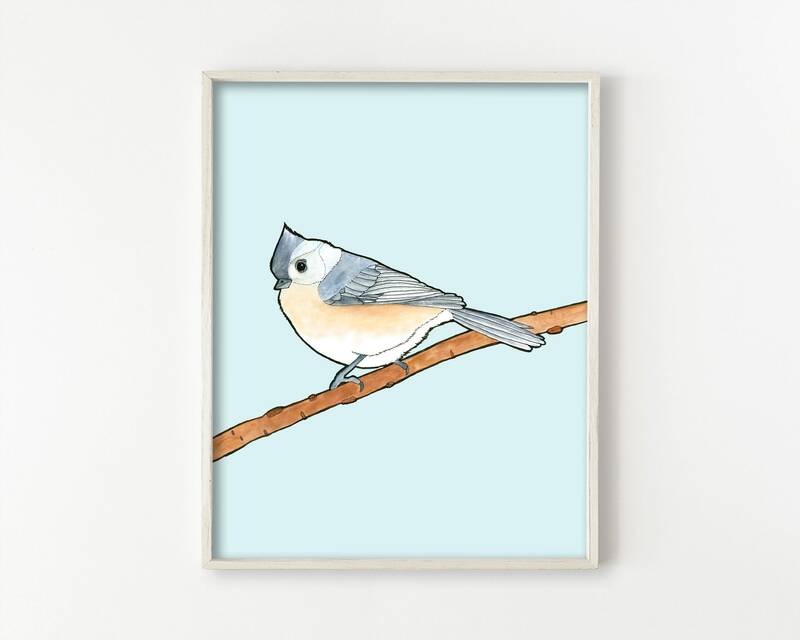 ➤ Prints are shown framed for display purposed only, it does not come framed. 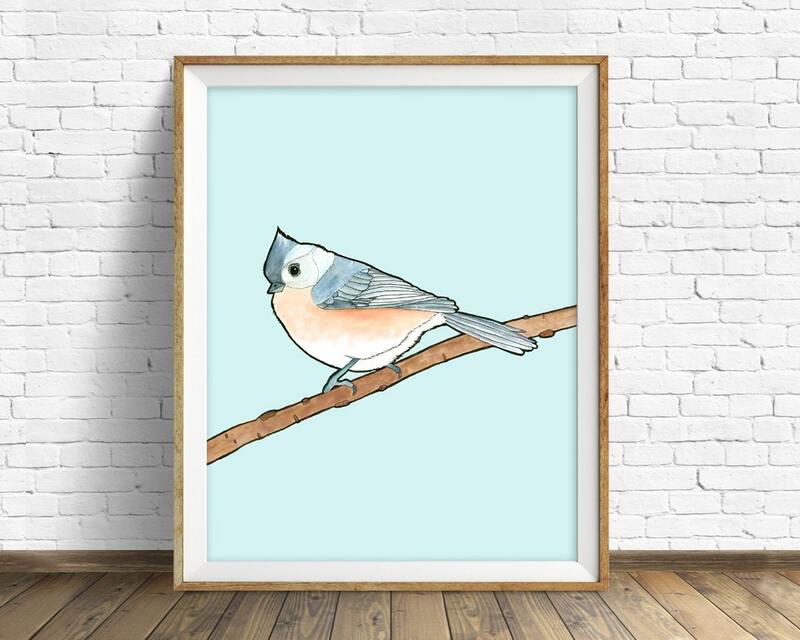 ➤ We use only professional-grade artist paper and high definition inks. It is a heavy-weight natural white paper. Prints will ship well protected in rigid mailers to prevent bending. 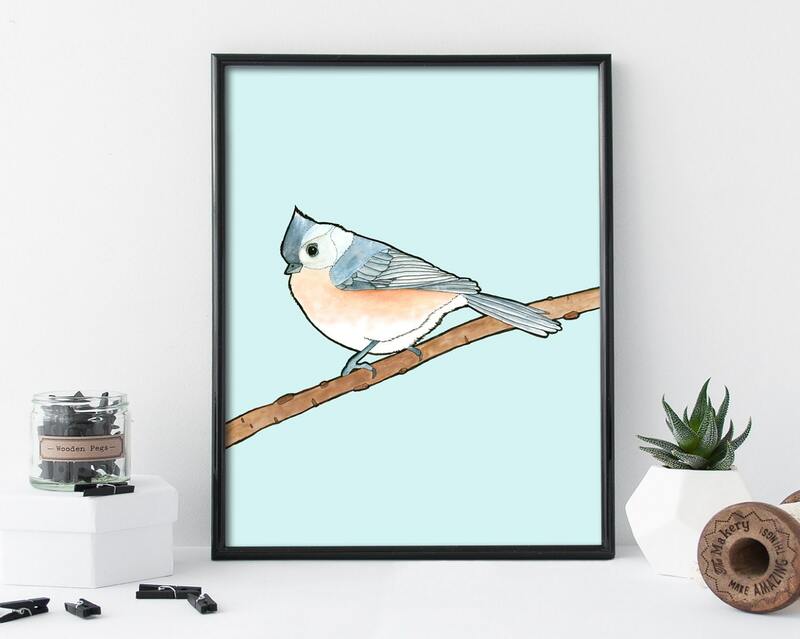 Larger prints will come rolled to prevent bending during shipping. Feel free to contact us if you need more information on shipping. 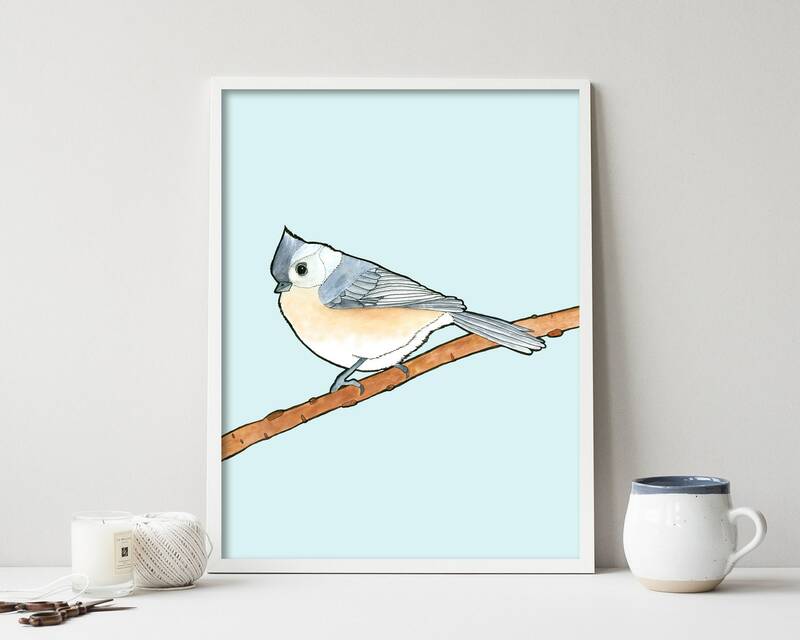 We sell our full line of prints, wood art blocks, and greeting cards as wholesale options and participate in Etsy's wholesale program. Please contact us for wholesale inquiries. We often work with customers on custom orders, and we are happy to accommodate specific size or color needs. Please contact us with your customization needs.